Am i underfeeding or overfeeding? Hi guys. 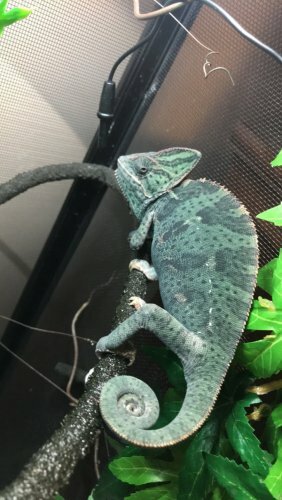 I recently just got a male veiled chameleon. I believe they said he was between 3 to 4 months old. My question is if i’m underfeeding him. I feed him about 12-16 (gut loaded) crickets a day. I recently just got super worms so i’ll feed him around 8-10 crickets and a few super worms every couple days. Is that enough? or is that too much? I also dust his crickets every other day. Is that not enough calcium? (It’s calcium without d3). Dust feeders with calcium w/o d3. Do calcium with d3 and multivitamin a few times a month ( I dont remember the exact number). 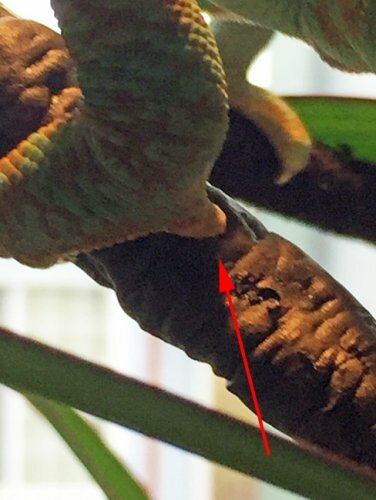 Also your chameleon looks way older than 3-4 months probably 6-7 months maybe (possibly older). Not to mention “he” looks at lot more like a “she”. Can’t be too sure though you should probably wait till it gets a bit older to confirm the gender. 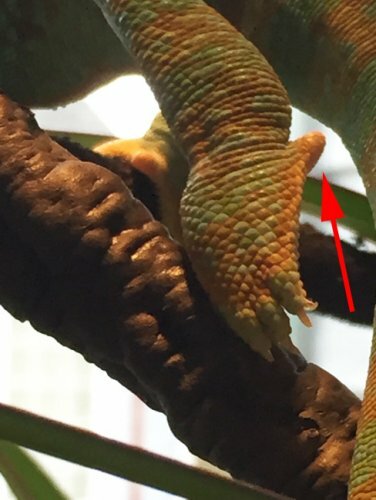 Veileds are the easiest chameleon to tell gender. If they have tarsal spurs on there back feet they are male if not female. D3 and multivitamins should be given twice a month. Yep, your he is a she. Minimum of 6-7 months old. You will need to install a permanent lay bin in her viv and soon. She looks a bit gravid. And if she isn’t she will be soon. You will want to slow down how much you are feeding her. About 7-8 crickets every other day is what I do for my female. Or less if she’s getting a couple worms. Okay. I guess the pet store was bad at giving out information. Exactly why i don’t usually trust them. Thank you guys so much for all the information, i’ll make sure to do everything said! Yep I am going with a girl. I do not see any sign of a spur in that pic. This is what it looks like for future reference. They are smaller when they are younger but very noticeable.